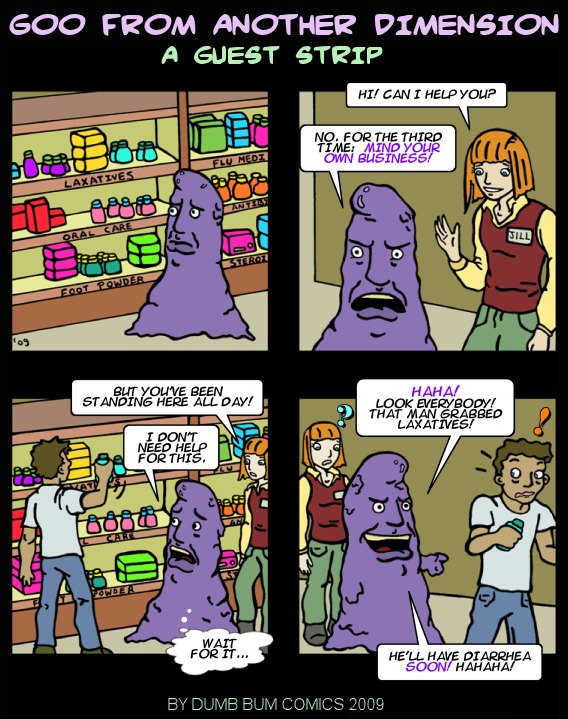 This is a guest strip we did for GOO FROM ANOTHER DIMENSION, a very funny comic. We tried to stay true to Goo's abrasive personality... We actually enjoyed doing this very much, and the joke came so naturally to us... I wonder why.